When spring cleaning is done and summer is in full swing, it's the perfect time to spruce up your living space with some bright and colorful pillows and throws. Click through for some of our favorites! 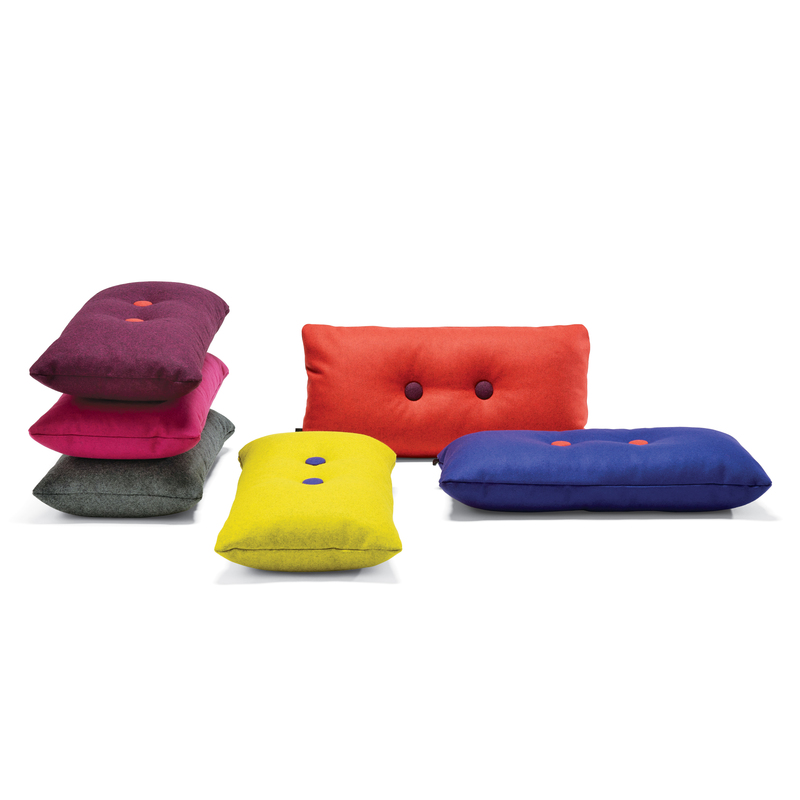 Hay, the Danish tastemakers whose collection is slowly filtering into the U.S. retail market, offers these wool pillows in 11 shades of Kvadrat's Hallingdal fabric. We love the bright and whimsical designs. Unison offers a great variety of mixable sizes in bright modern colors. We love envelop. The Belgium-based company produces made-to-order textile products adorned with an awesome selection of graphic prints from illustrators around the world. This 100% cotton Blue Mountain pillow case caught our eye and there's a bunch more to choose from; The site even has a growing gallery of purchased items in their new happy homes. By skillfully playing with the patchwork style and color blocks of traditional quilts, husband-and-wife duo Bill Kerr and Weeks Ringle create one-of-a-kind throws that are more Palm Springs post-and-beam than Little House on the Prairie. A reversible perky polka-dot pattern in jacquard weave graces this jaunty merino wool blanket by Copenhagen textile designer Anne Rosenberg. Color us glad to have come across the lovely textiles from Autralia-based designer Rachel Castle. Her collection of bright-but-simple bedlinens, throws, cushions, and embroidered artwork is beyond swoon-worthy, and would add a crisp and clean, but also über-comfy look to your home decor.